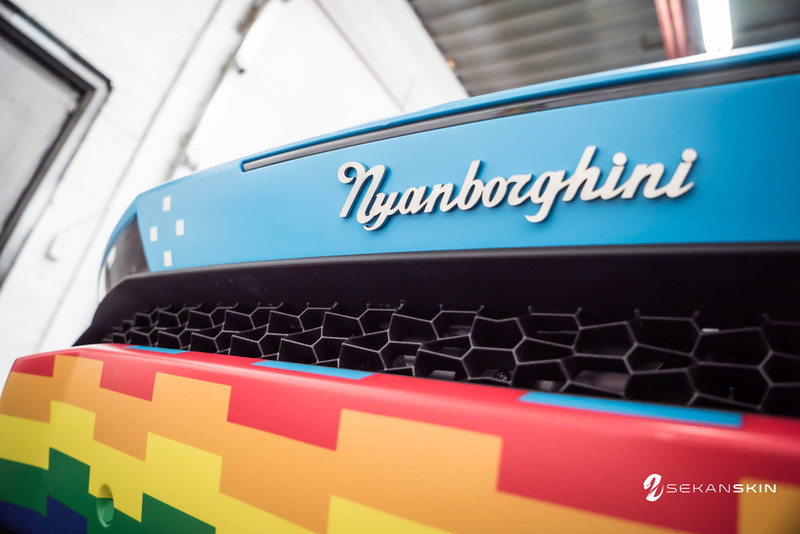 Joel Zimmerman had contacted us and wanted Team Sekanskin to help with his vision of turning his Ferrari 458 Spider into a Nyan Cat themed Purrari. 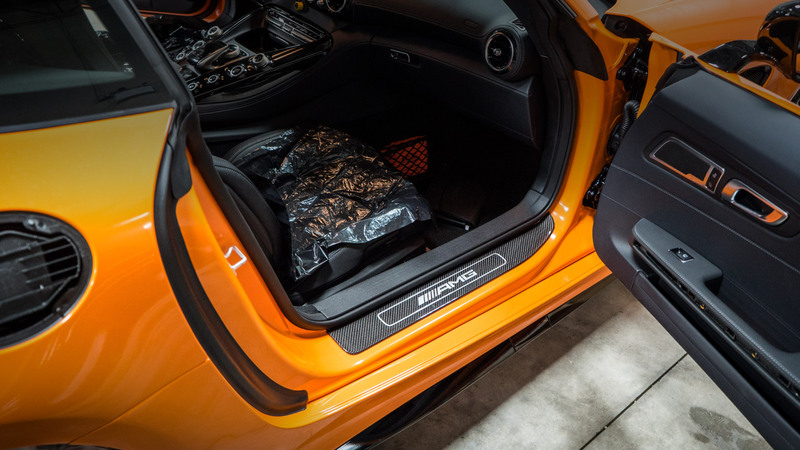 First, we had to take everything off in order to wrap the door jams. 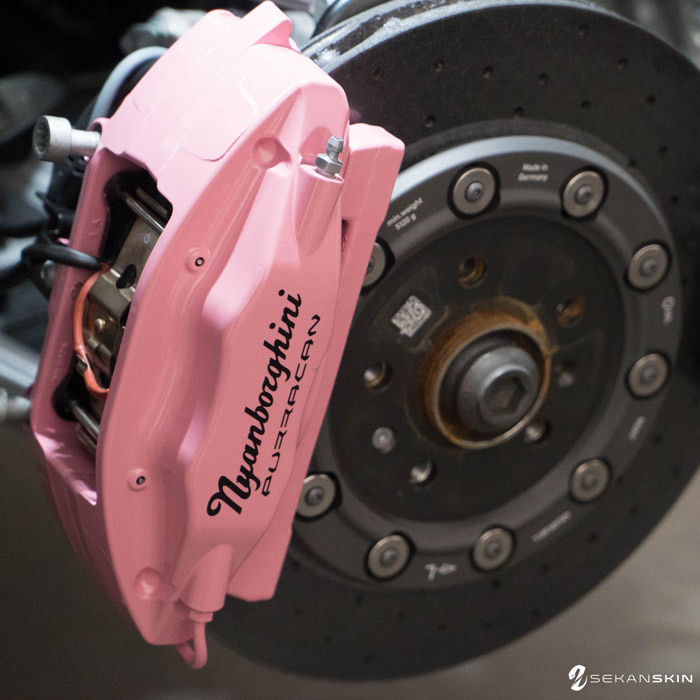 The team then had to do some disassembling off the Purrari in order to prep for the callipers and centre console to be painted and then sent them over to Luxury Auto Body and they powder coated them pink and painted the centre console white. 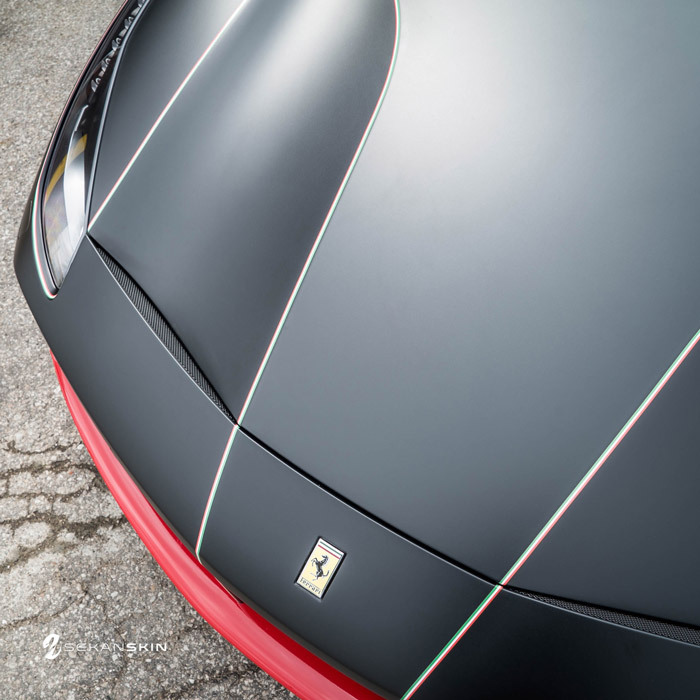 As a final step to the 458 project we installed paint protection film to give the Purrari extra coverage. 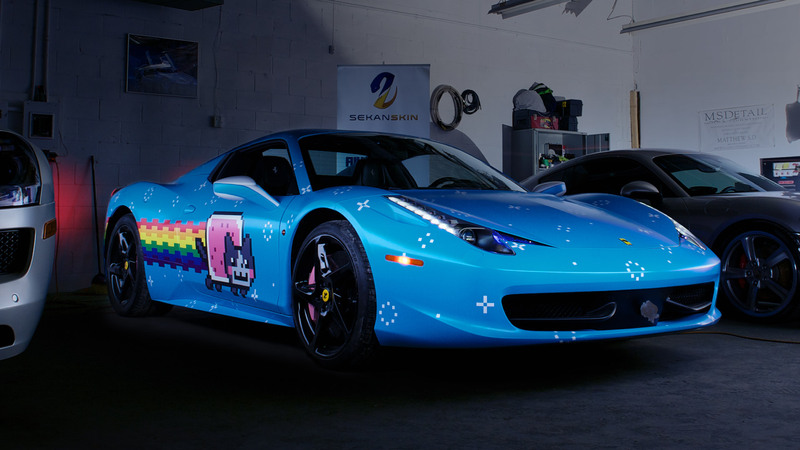 We had originally badged the Purrari with Nyan Cat symbols, and asked Joel if he liked it. He liked the idea but not the image itself as it looked like a giant block. 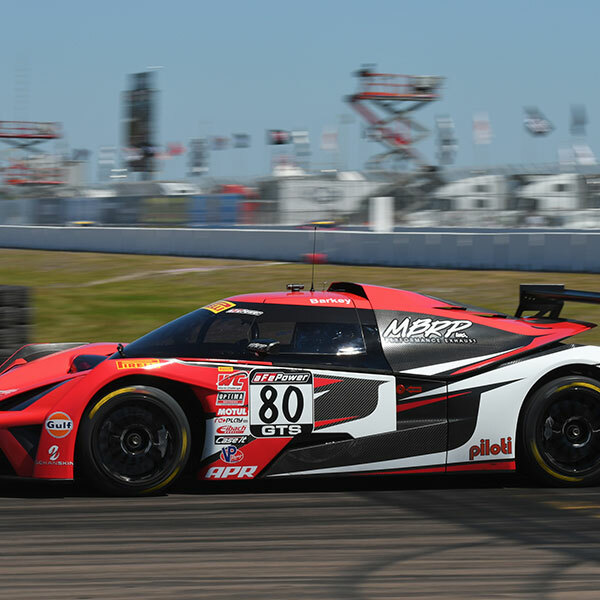 Instead, he decided to add the silhouette of a jumping cat to resemble the Ferrari symbol. 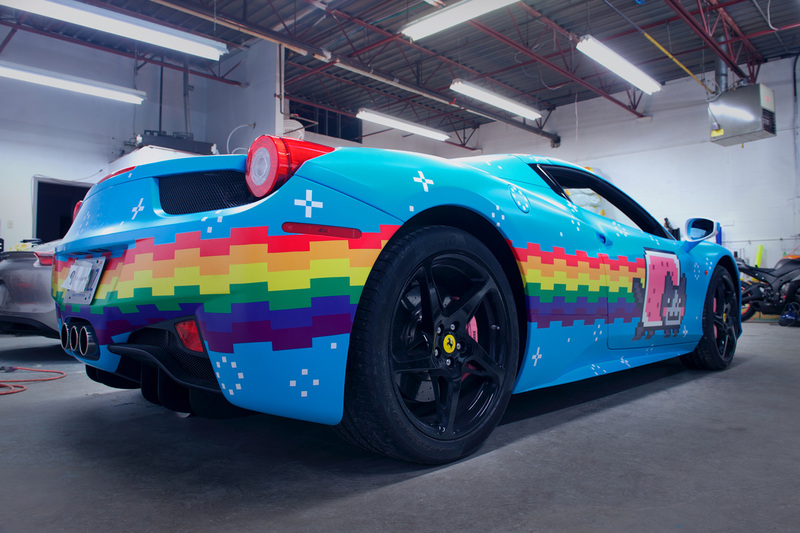 Once this change was made the car went from the Nyan Cat Ferrari to Deadmau5’s Purrari! 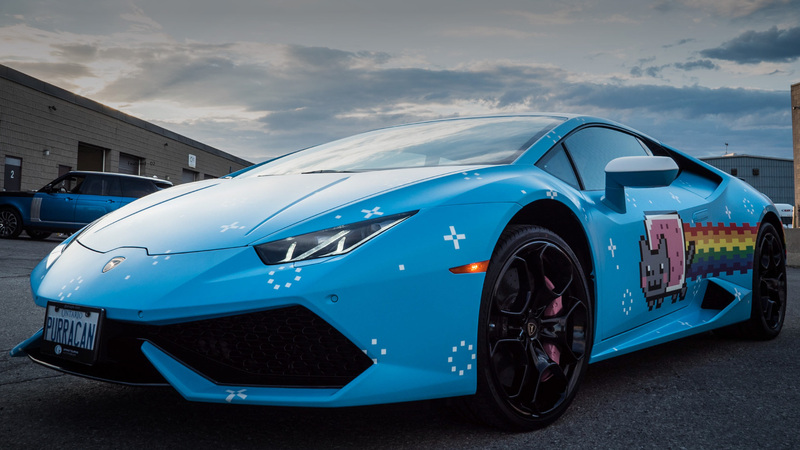 Skin: Purrari Blue, Custom Nyan cat design graphic vinyl, Hand placed white “stars”, and Full body PPF Application. 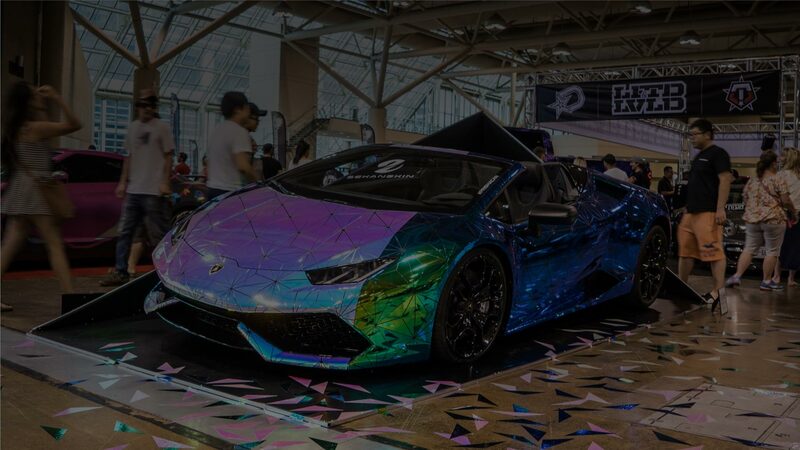 This Lamborghini Huracan was created into the PURRACAN as a form of reincarnating the PURRARI. 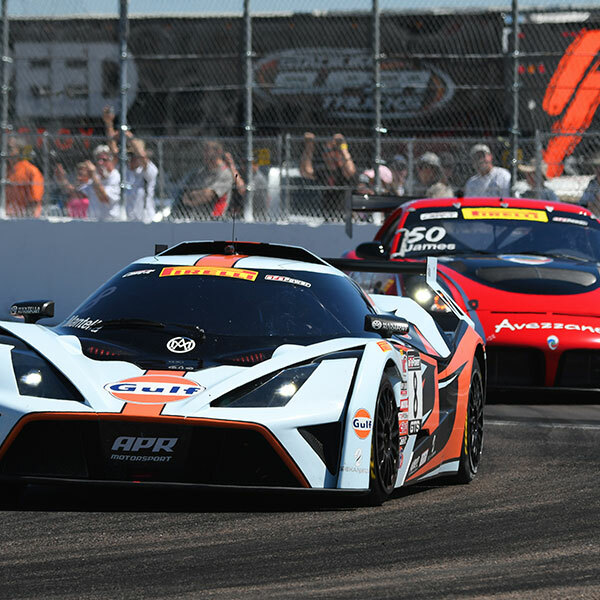 When we received the call that this was going down, we were very excited to bring it back. 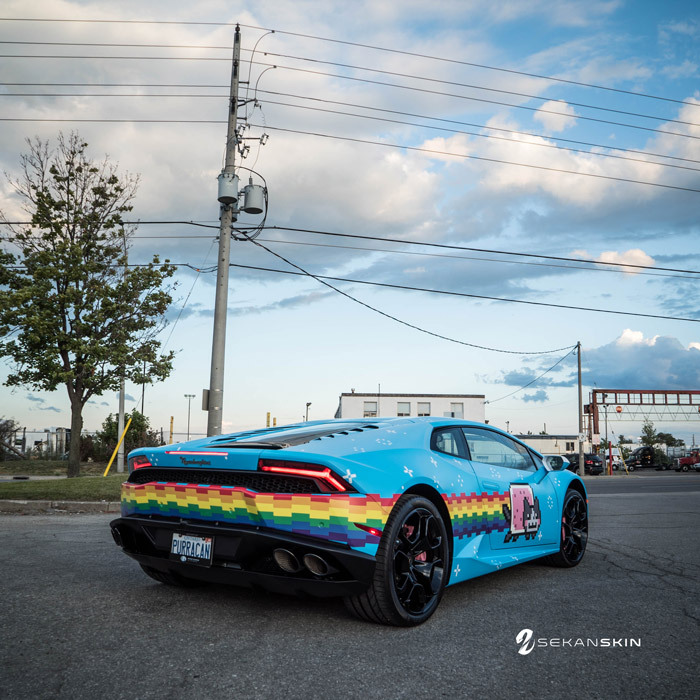 Team Sekanskin took on the transformation of the Lamborghini Huracan, ceremoniously dubbed “Nyanborghini Purracan”, owned by iconic music producer, Joel Zimmerman (also known as deadmau5). 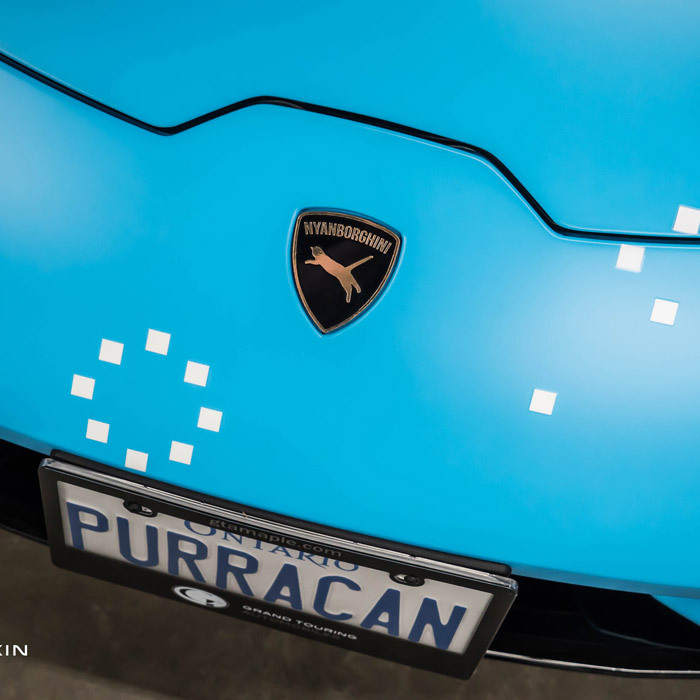 The Sekanskin vinyl artist’s spent countless hours perfecting and customizing every last detail to truly bring the Purracan to life. 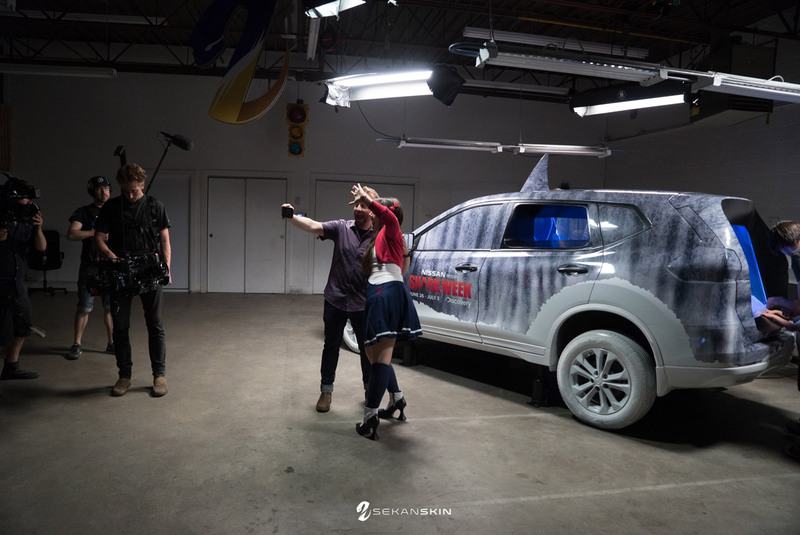 Lunch Inc. had called on #teamsekanskin when Bell Media asked Team Sekanskin would be game to turn a Nissan Rogue into a Shark Tank, of course we were down! The timeline was very intense but President and Vinyl Artist, Tiago Teixeira was optimistic that we could do it. 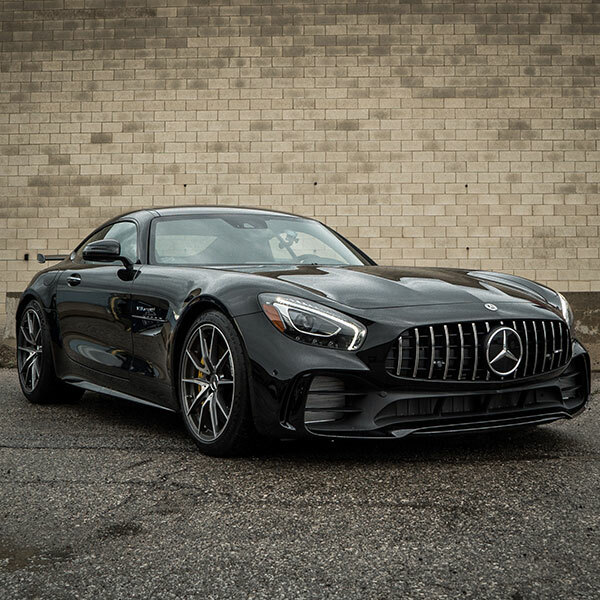 After all, we are known for making the impossible possible. 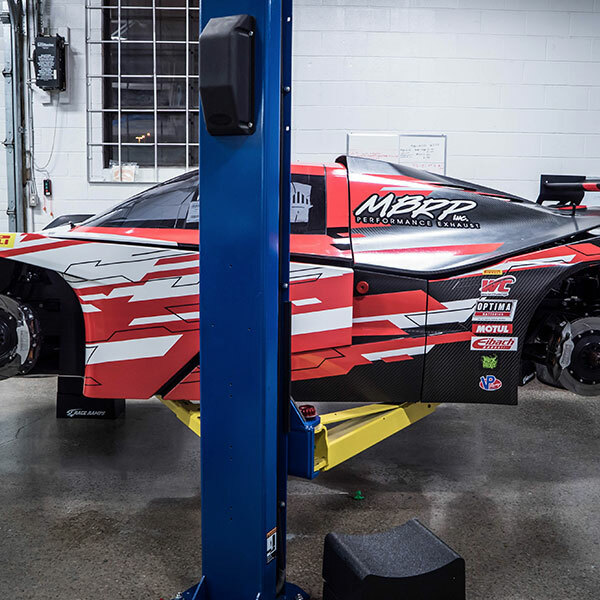 We had so much fun working with Amy Miranda, Jacknife , and XZZ – Rob King, we would do it all again! ​The Shark Rogue was on display outside of Ripley’s Aquarium in Toronto for a limited time. 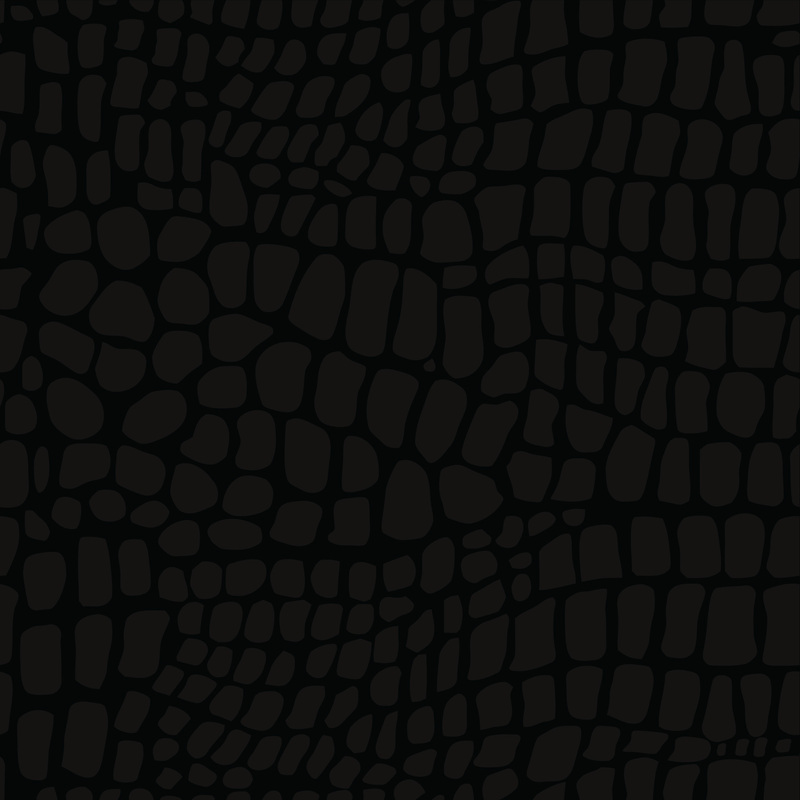 ​Thank you to: Amy Miranda, Chanda Chevannes, Tiago Teixeira and the whole team at Sekanskin, Matt Hexemer and Jacknife Design, Wilson Choi, Wet Thumb Aquatics, Catshrine Collective, Rob King, Nick Haight, Six Degrees Music & Sound, Redlab, Our editorial team, our entire production team, Custom Prototypes, Saline Solutions, Joe Teixeira, Madison Harview, Keenan Lynch, Katie Murray, and everyone else who touched this project. 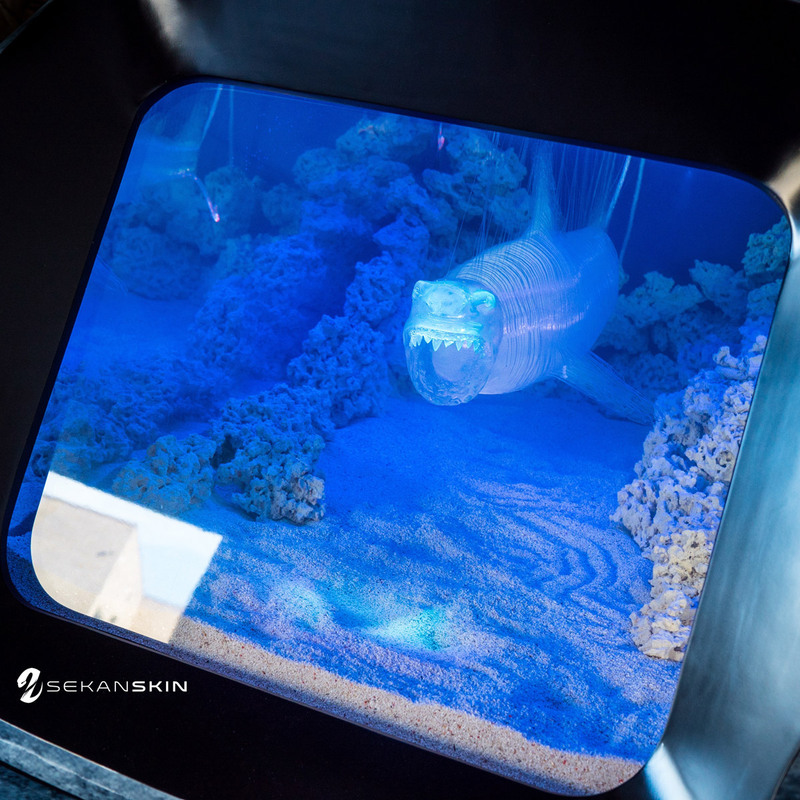 This was a very special project brought to Team Sekanskin by our great clients Team Orange Crush. 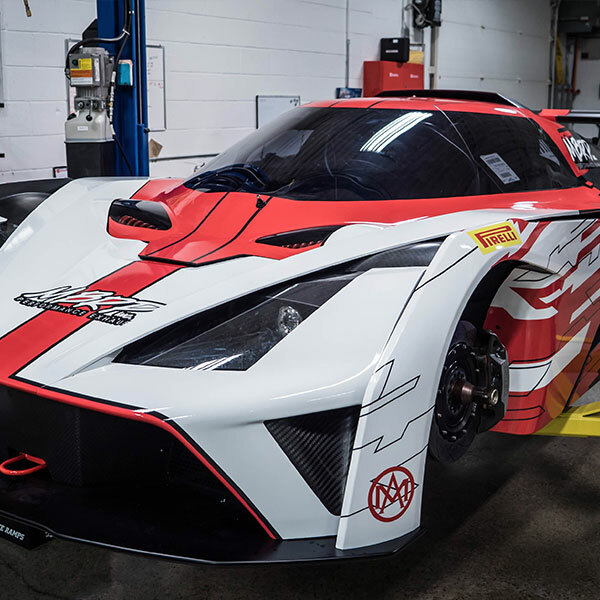 This Mercedes GTR was the very first to land in Canada and is the only one to receive this custom skin treatment. 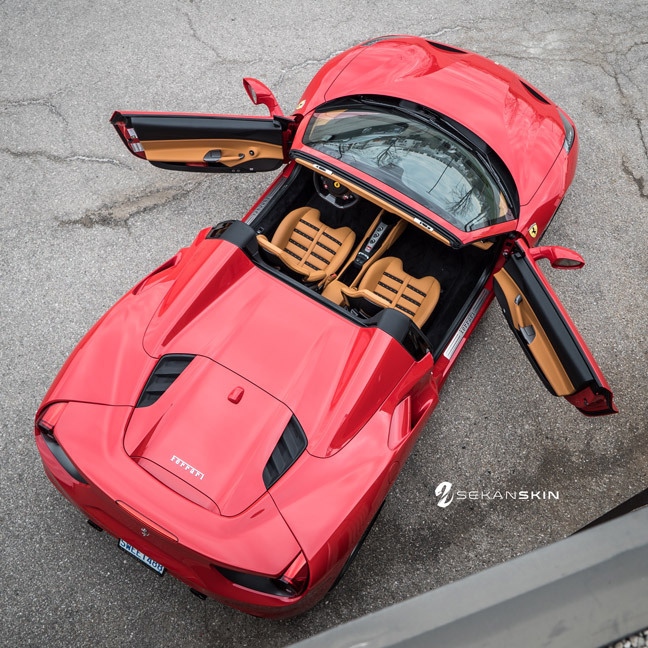 We started with a full Gloss Burnt Orange 3M skin installation on the vehicle, with some of the gloss black accents on the mirrors, wing sides, and, roof to add a dynamic design to the finished product. 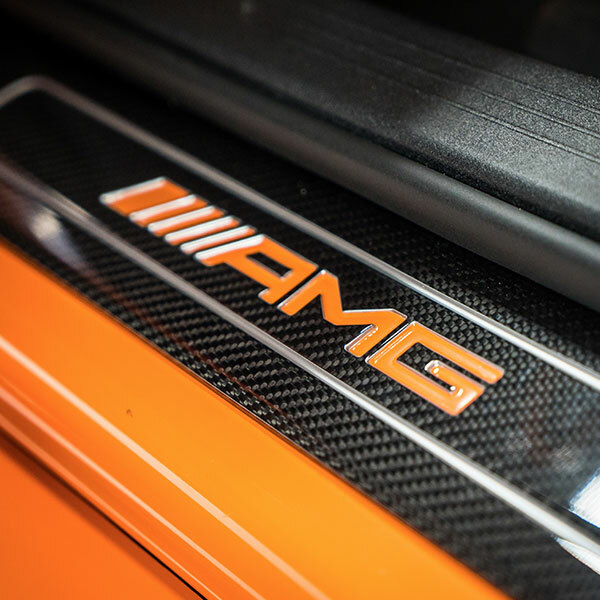 Our designer then created a custom Orange Mercedes star which was printed and then installed onto the front grille of the Mercedes. 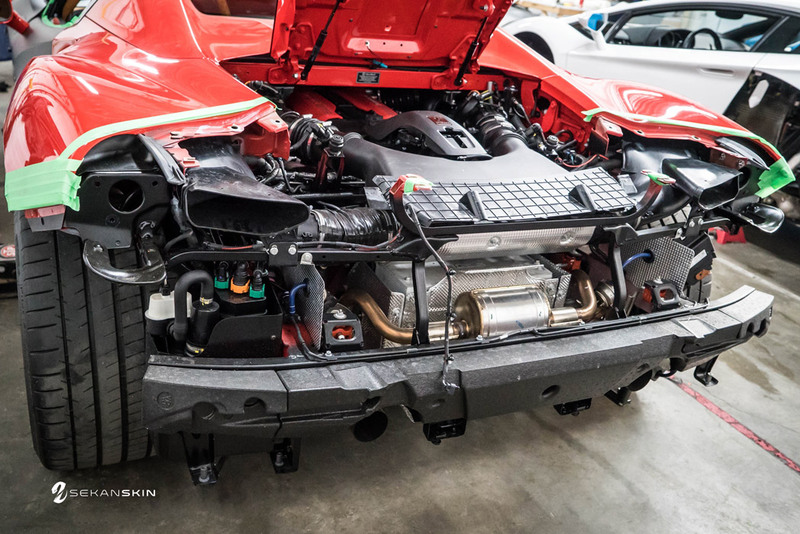 After Mercedes GTR received the Sekanskin treatment, it went on to get an ECU and Downpipes by Renntech. 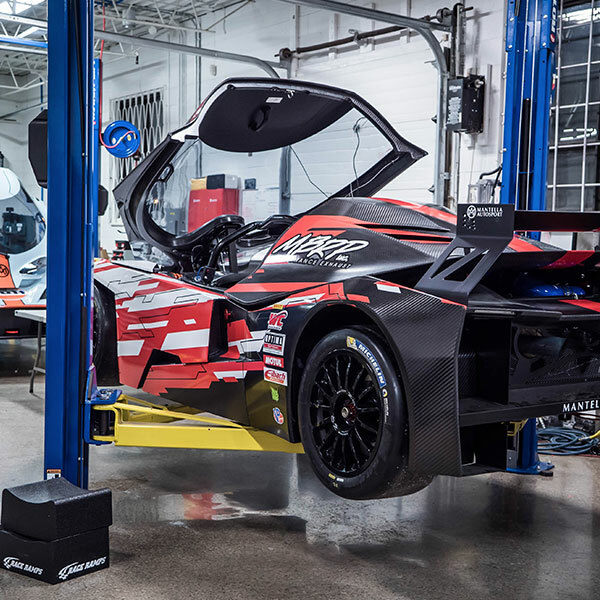 The McLaren and Huracan, “his and hers” custom design was a joint project with Team Sekanskin and designer Dirty Nails Bloody Knuckles. 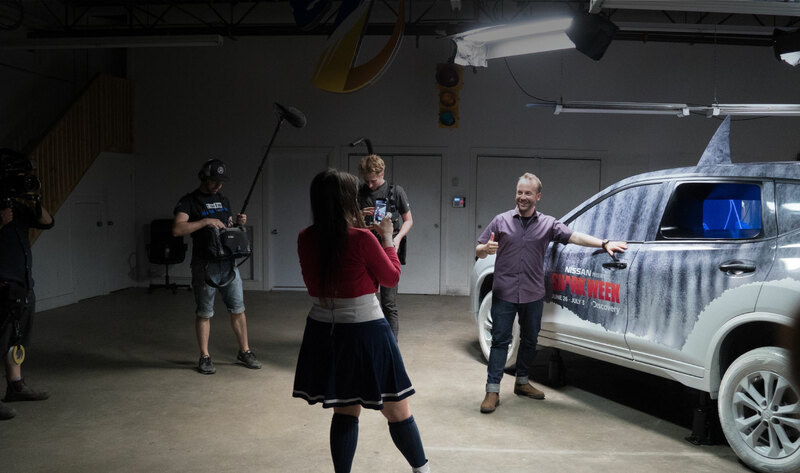 We first gave some ideas and concepts to the clients and then brought in Chris to bring the ideas onto the vehicle renders. 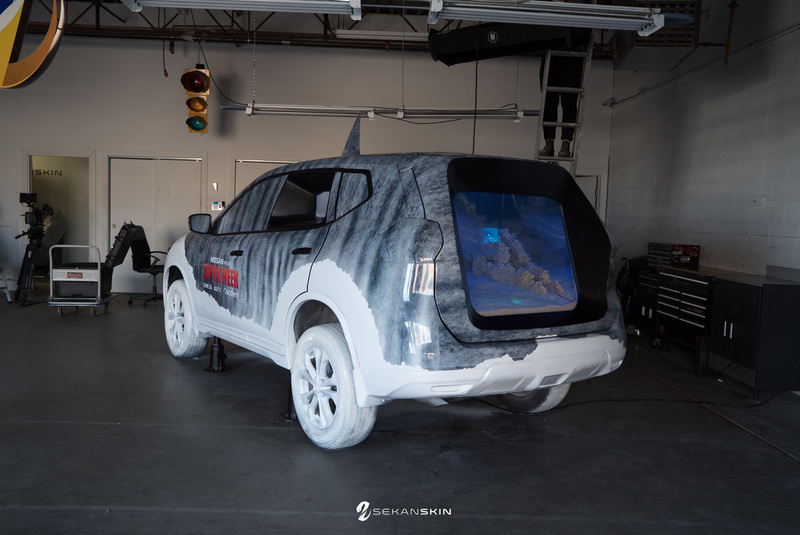 Once the clients decided to go with a Hexagon, we created a custom skin by first installing Frozen Black onto one half of each vehicle, and then installed Avery Gloss Blue onto the other halves of the vehicles. 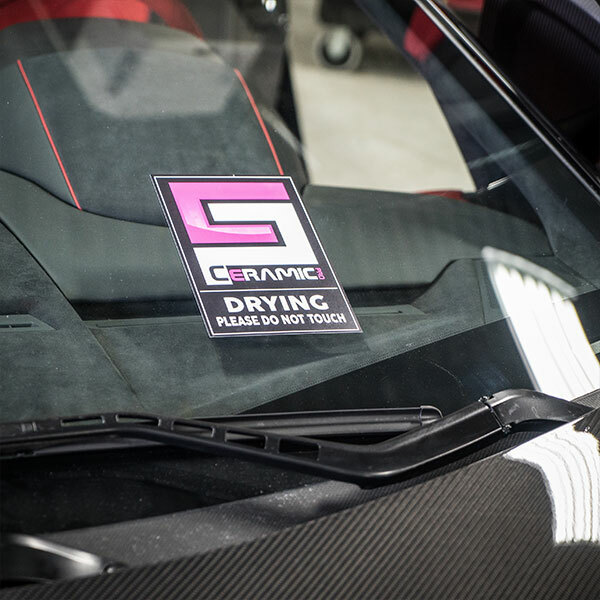 We then carefully used our Graphtech plotting machine to cut out the shapes and hand place them onto the Lamborghini and McLaren in a “mirrored” fashion. 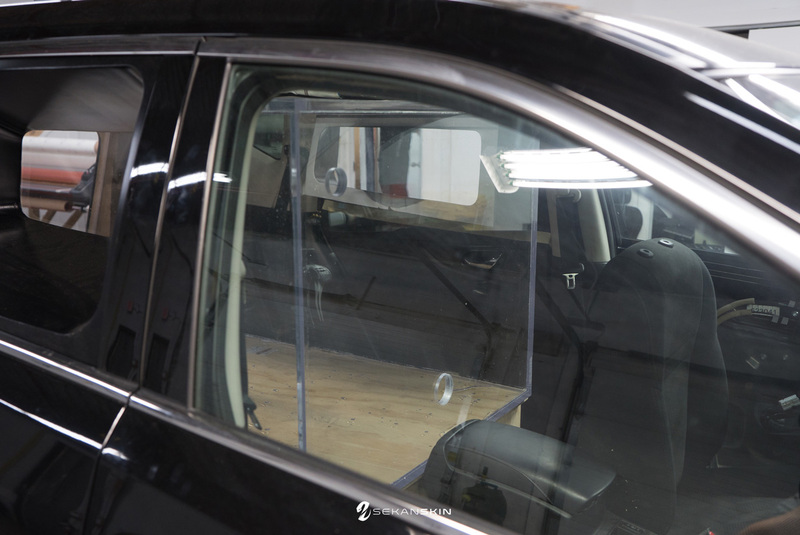 The installation took many hours and was quite difficult to create a mirrored finish on 2 different cars that have very different bodylines. 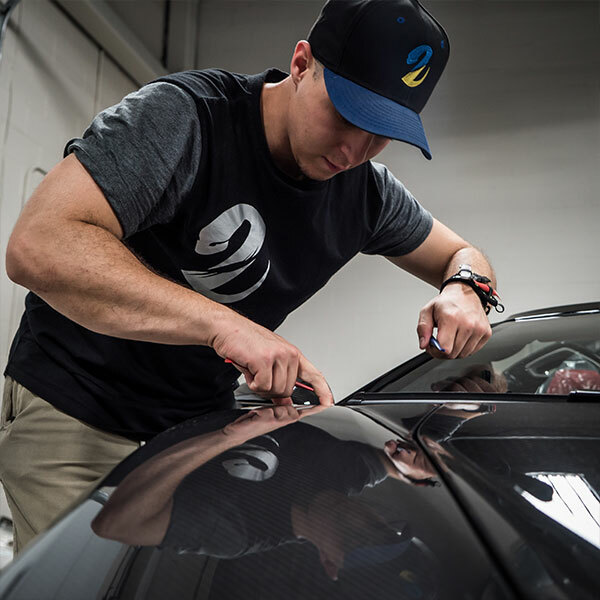 As a final touch, we created customized Rally decals in the same Frozen Black and Gloss Blue for their Corsa America rally so the provided ones did not interfere with the flow of the designs. 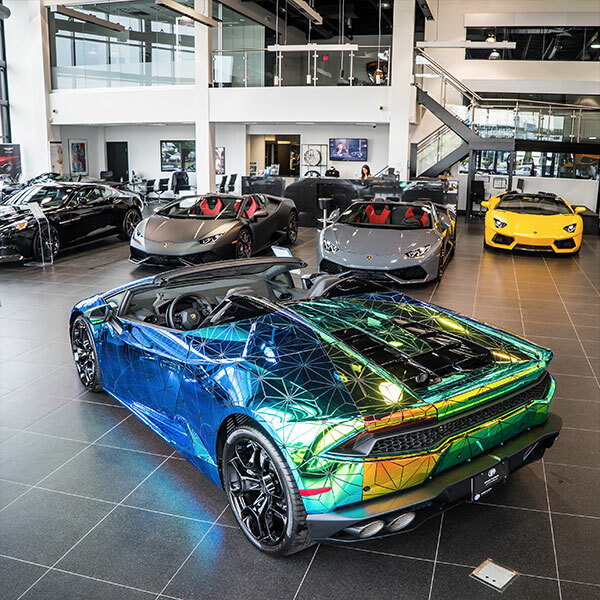 This Lamborghini Centenario is 1 of only 20 Roadster versions in the world of the company’s carbon fibre technological tour de force. 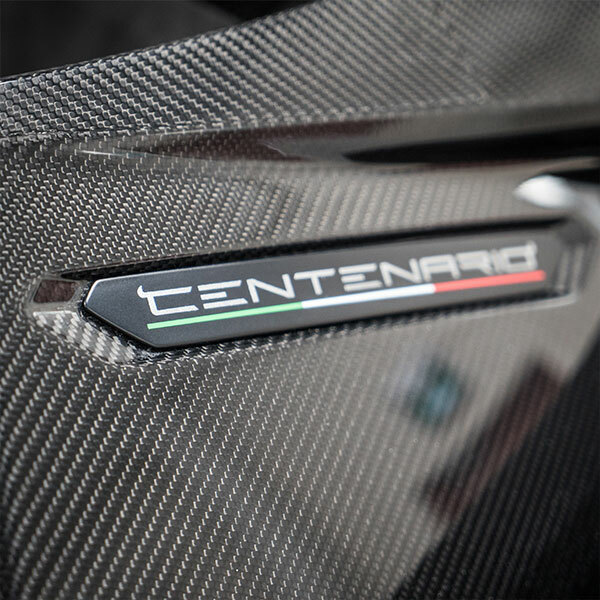 At approximately $4 Million CAD, the Centenario is the only one of its kind in Canada; and, it was built to celebrate the 100th anniversary of company founder Ferruccio Lamborghini’s birth in Italy. 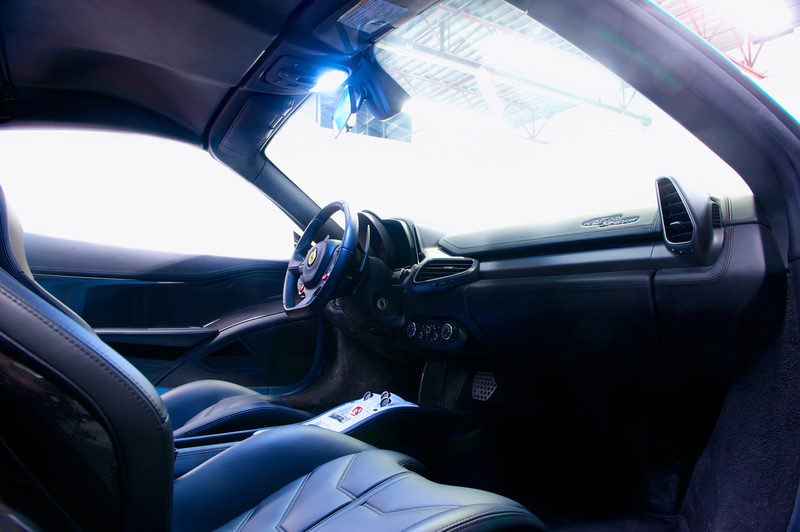 Grand Touring brought this vehicle to one of our clients over a 2 year acquisition. 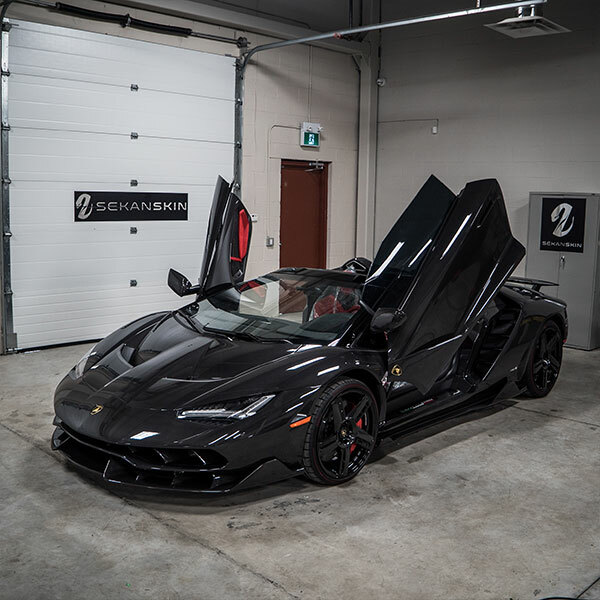 A few days after the delivery the Centenario was brought to Sekanskin to receive a full body paint protection film, every aspect of the vehicle was covered in the paint protection film to ensure there will be no damage done to the exposed carbon during its time on the road. 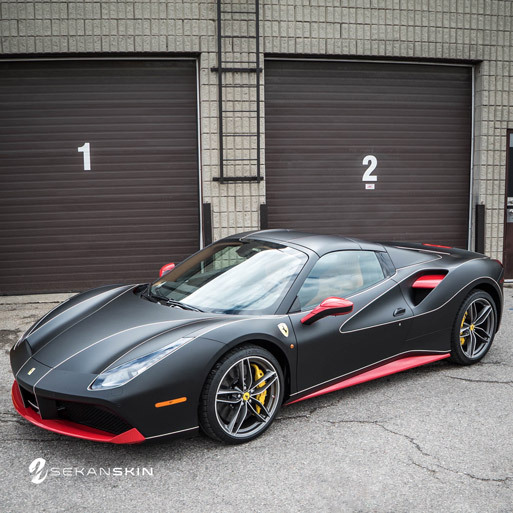 Our good client, Phil, brought Team Sekanskin the first Ferrari 488 Spider, it was stock Ferrari Red. 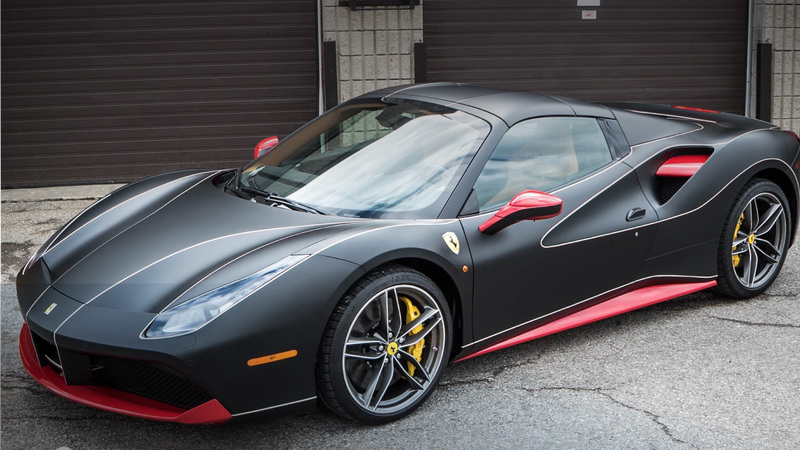 Phil had a vision that he brought to Tiago incorporating a little bit of the Ferrari Red with a Full Frozen Black skin and Italian pin stripes. 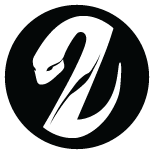 Team Sekanskin jumped into the idea and began creating the custom pin stripes to start, to get the sizing right. 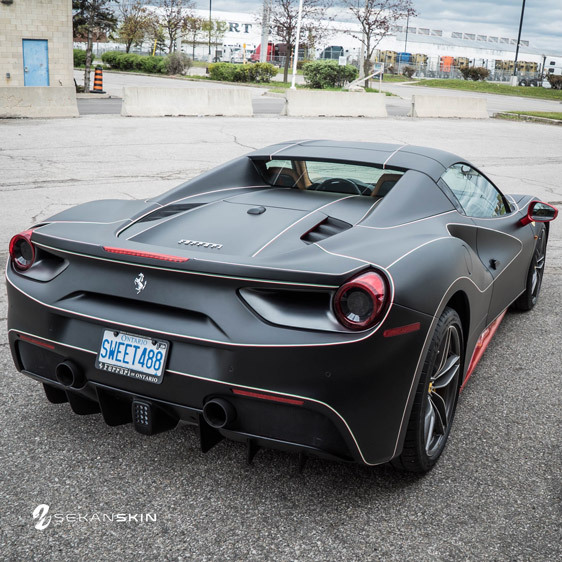 The full Ferrari 488 Spider was covered in Frozen Black, leaving the mirrors, front lip and side skirts in the original exposed red. 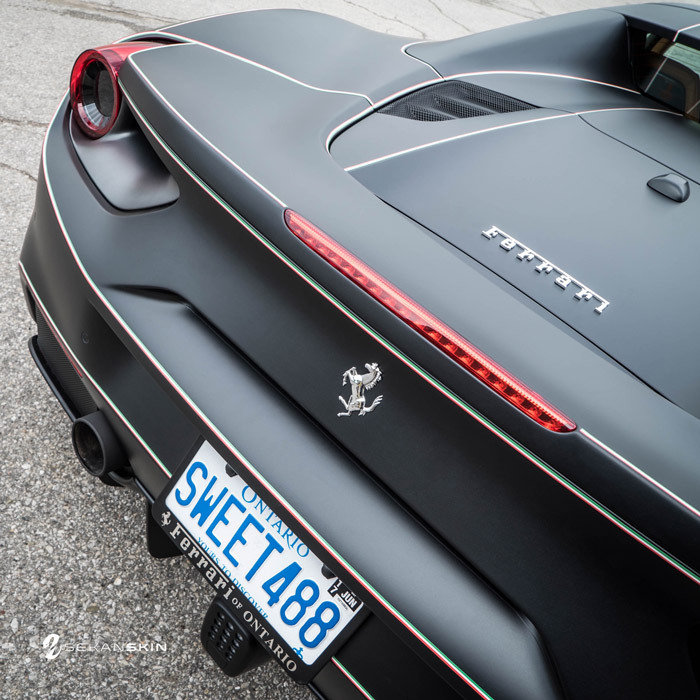 The custom pinstripe Italia was a gorgeous touch to tie everything in together. 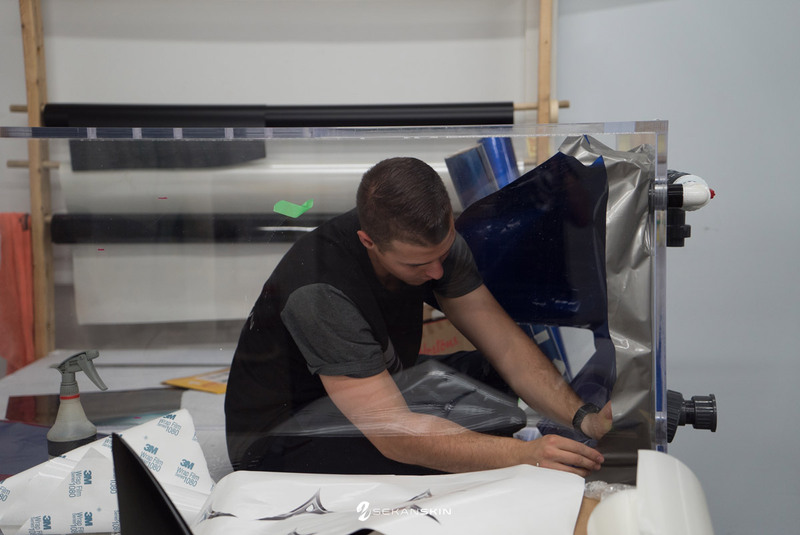 We are so thankful to have such cool clients who believe in Vinyl Artistry. 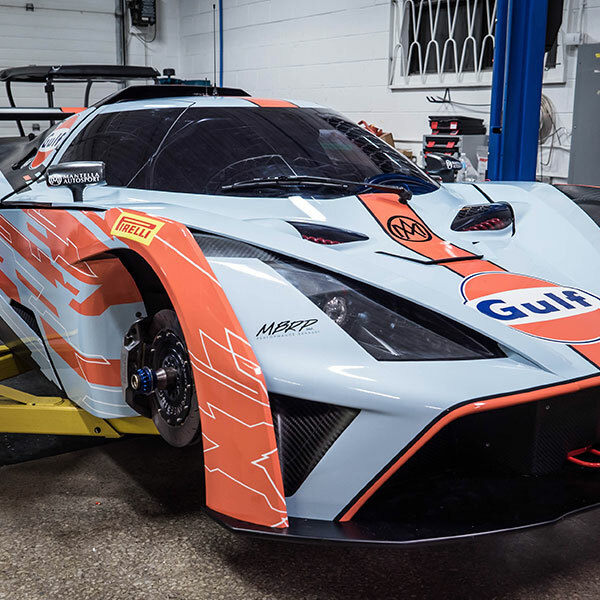 Mantella Autosport contacted Team Sekanskin with a special Race car project for their KTM X-Bows GT4 race car series. 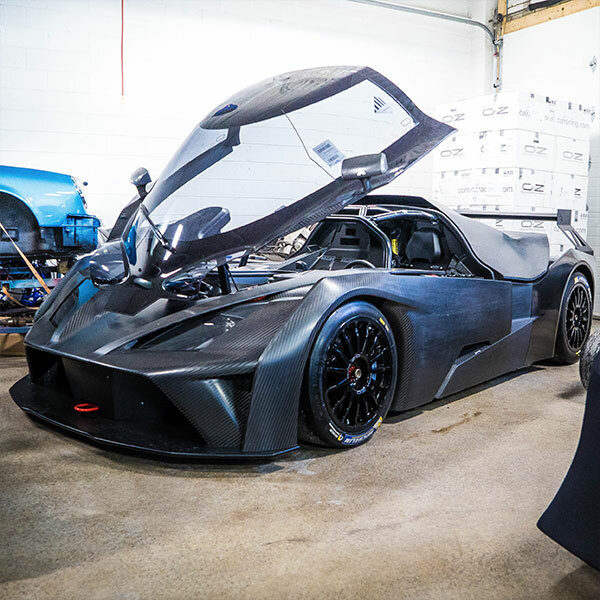 They were looking for a company that could handle wrapping a very exclusive vehicle, the X-Bows are very rare race cars built entirely from exposed Carbon Fibre. 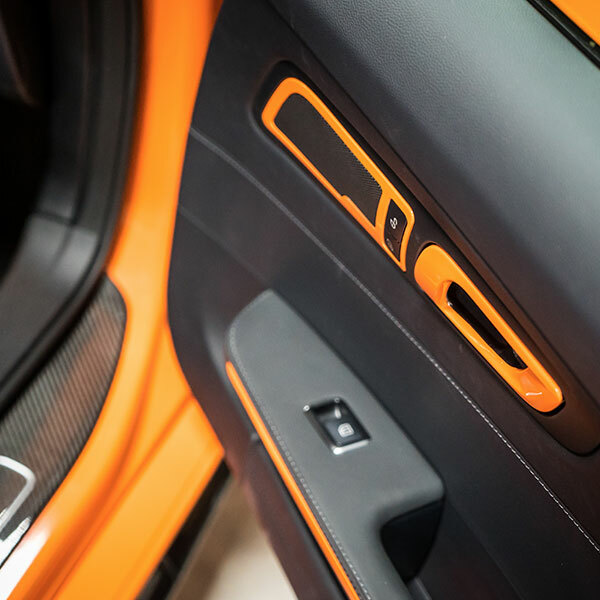 Without hesitation the team agreed to install custom designed skins onto the vehicles. 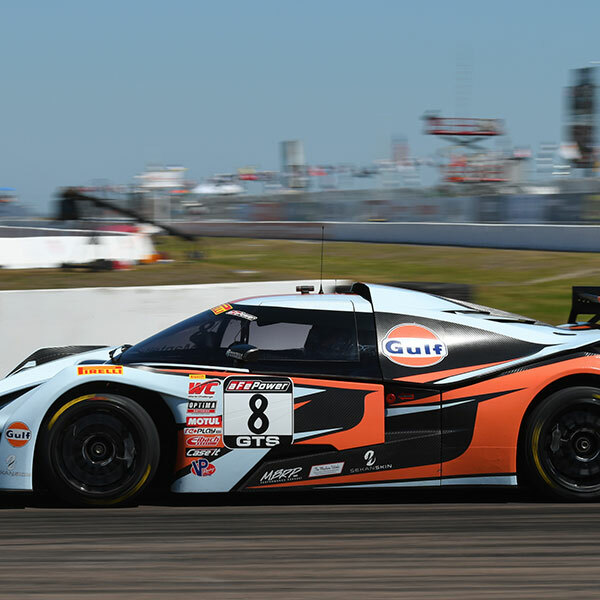 The 8 car had a Gulf Livery the consisted of the traditional blue and orange theme, white the 80 car consisted of a red, white and carbon fibre theme. We also refreshed their Trailer which carries the vehicles with a custom design. 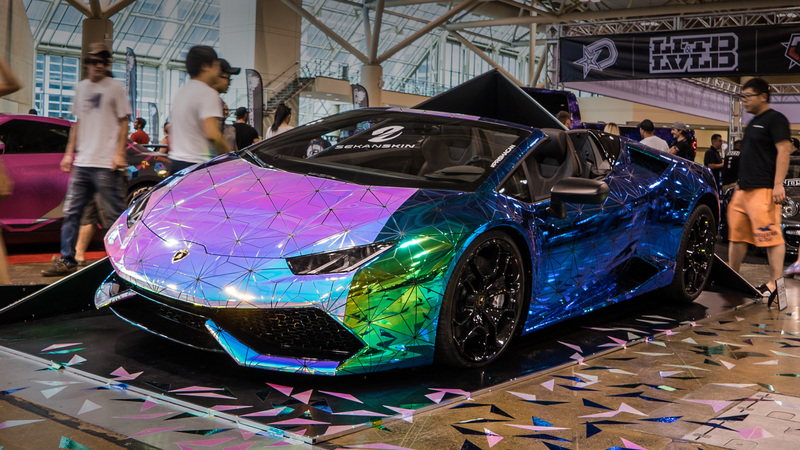 This Lamborghini Huracan was turned into the PRISMACAN after receiving the Sekanskin treatment. 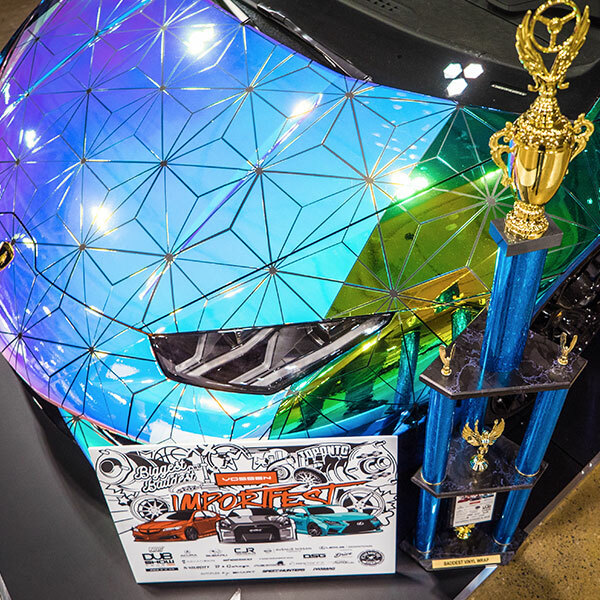 Each piece was laid by hand creating many prisms that all connected to form a symmetrical design that flowed throughout the car. The dimensions of the triangles were specific to replicate that of desirable angles and structural efficiency. 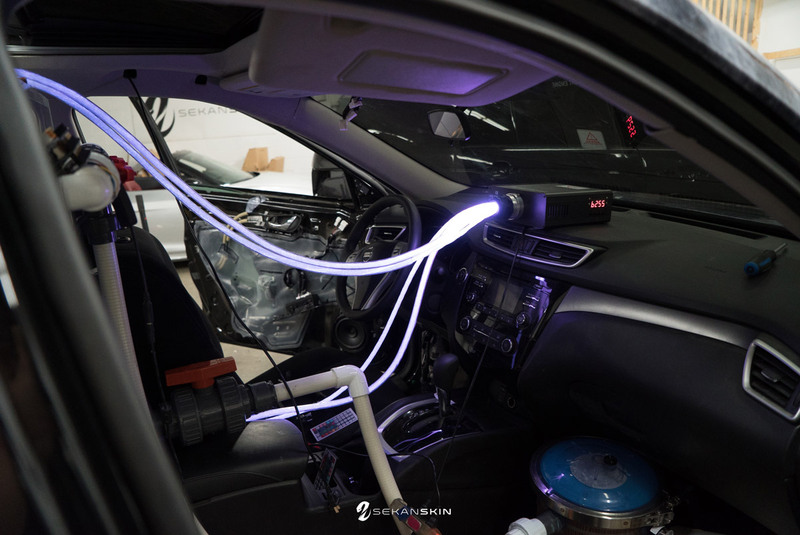 We showcased a 3M product called “3M Dichroic”. 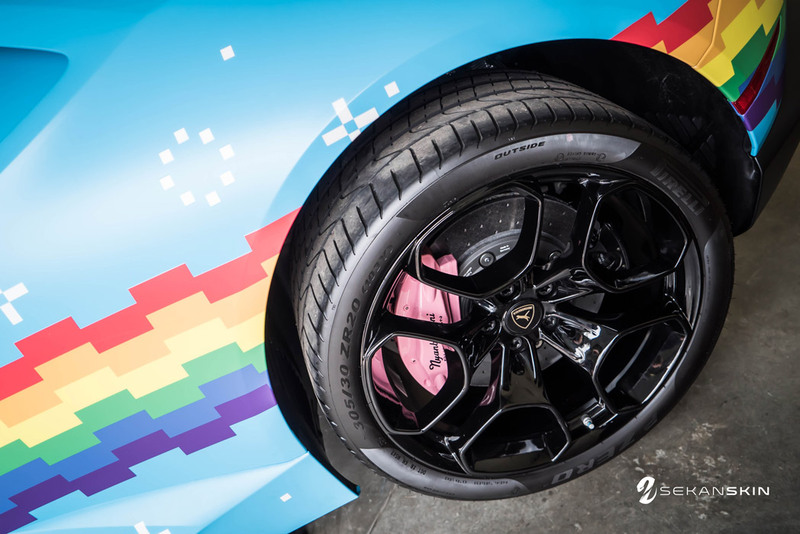 When combined with the 3 different finishes we chose, it captured the full spectrum of the rainbow. 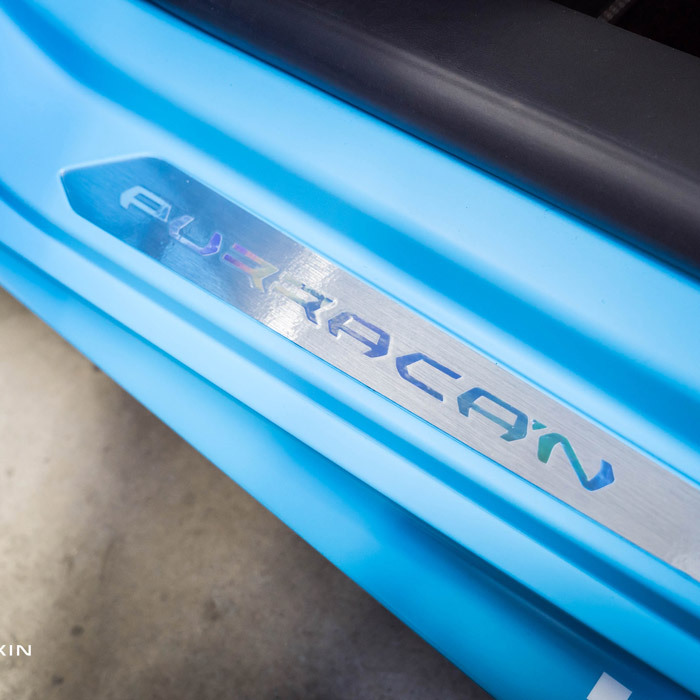 This is where the name “Prismacan” was inherited. We divided the car into a triangular prism and used those lines to define where the colours transitioned. 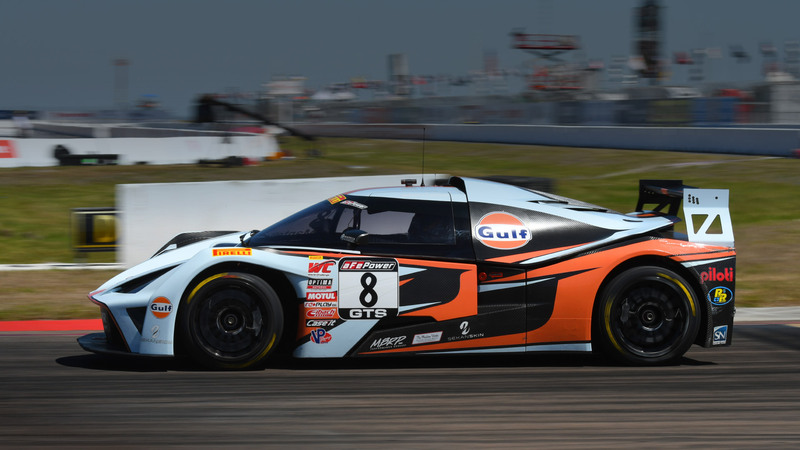 Every aspect of the concept was calculated to work with the vehicle’s body lines while still maintaining consistency throughout the design. 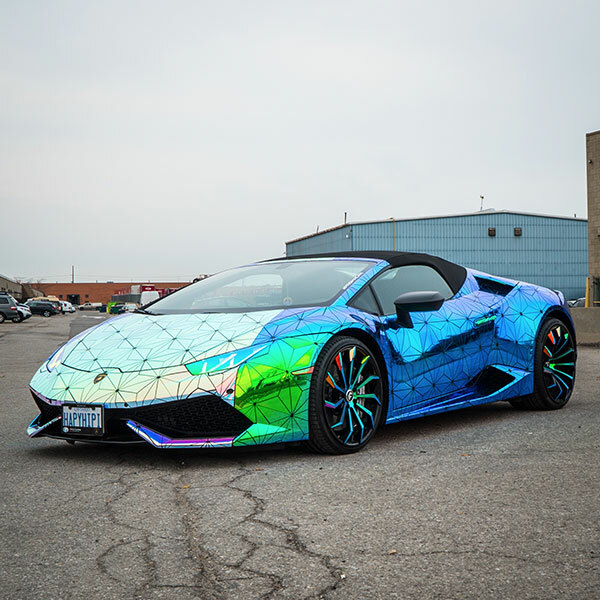 The prism consisted of 3 triangles in 3 different iridescent finishes while each displaying 3 major colours.